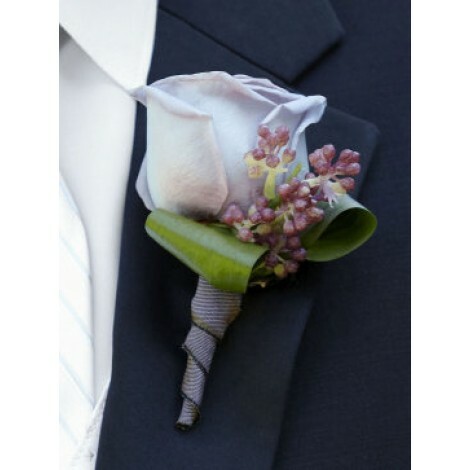 This soft lilac boutonniere is one of stunning simplicity and undenied charm. We've chosen a single lavender rose and accented with lush green Ti leaves to add a modern, exotic touch to a traditional and popular accessory. 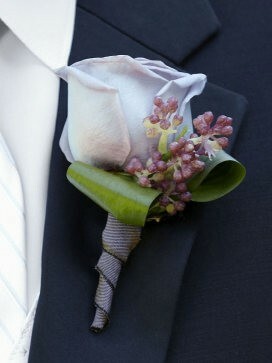 This stunning lilac rose boutonniere is perfectly finished off and coordinated with mauve satin ribbon. Approximate Dimensions; 4"H x 2'W.